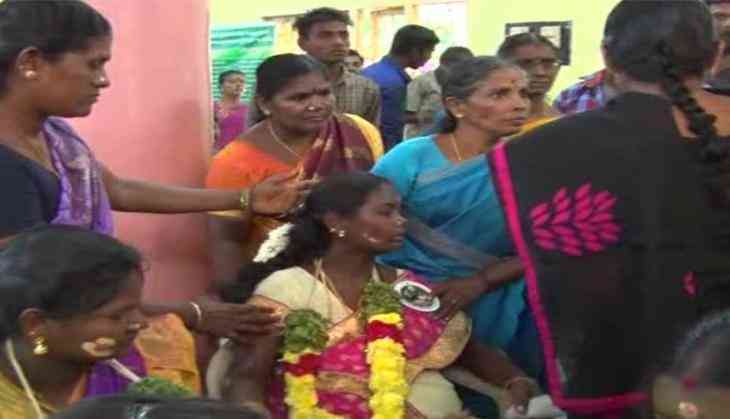 In a shocking incident, at least 300 pregnant women were allegedly made to wait for more than two hours in Tamil Nadu's Salem by the state's social justice minister Saroja for a photo-opportunity. The pregnant women were invited for a state-sponsored baby-shower event that was organised for the ladies belonging to the economically weaker strata of the society. A lady among them even collapsed even before the arrival of the minister. The incident has been condemned and critcised by the Dravida Munnetra Kazhagam (DMK) and TTV Dinakaran faction of All India Anna Dravida Munnetra Kazhagam (AIADMK). "This EPS-OPS government has made pregnant women wait from the morning. This act cannot be digested. This is not the government for people which Amma had brought", DMK's CR Saraswathy told ANI. "This is all because of the health minister. We want to throw the Health Minister out from the ministry. Government has totally failed to function", said Pugalenthi (TTV Dinakaran faction).